Long weekends are poised with a perplex duality- on one hand rises a storm of great expectations and on the other there’s an abyss of unrealised choices. 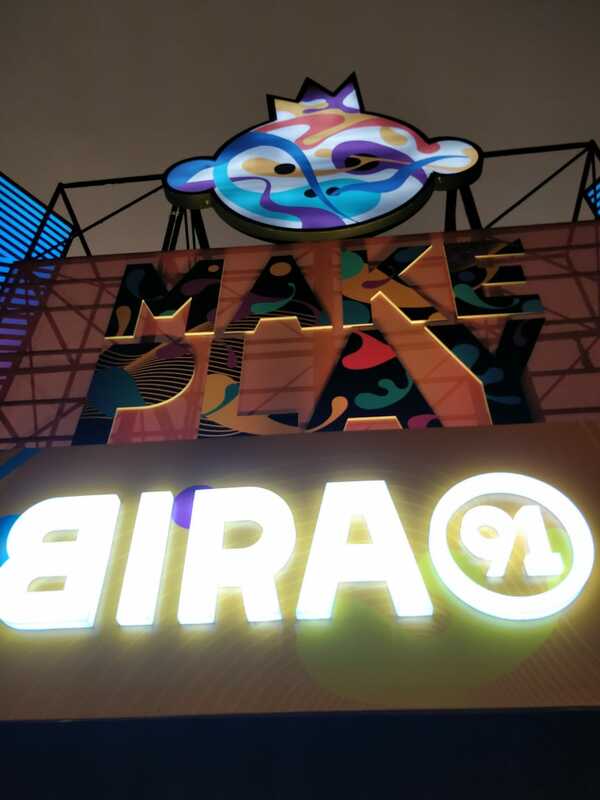 But luckily for Delhiites, this march had an attraction strong enough to snub this duality and congregate for the April Fool’s festival by Bira 91. 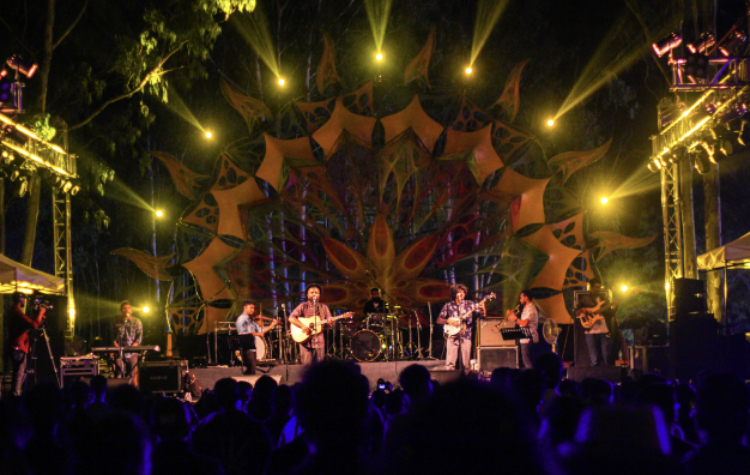 The festival, which became the locus of food, comedy, and music, was held at the NSIC Grounds from the 31st March to 1st April. Day 1- The music gigs were kickstarted by DJ Ishani who is known for her hip hop mixes. She played a set of eclectic old-school mixes, diving into different epochs of the rap and hip-hop genre, from the 80’s era of Grandmaster Cash and Fantastic Five to the early 2000 era of Dr.Dre and Snoop Dogg. As the heads in the crowd started bobbing and moving their feet, MadStar Base made their way onto the stage and spinned a set of electronic mixes for the next hour, blending Indian rhythms with rap and funk beats. Nextup, American rapper Lushlife enthralled the audience with his infectious energy and subliminal lyrics. The California based rapper adroitly managed mixing his set and rapping to the beats simultaneously in his highly animated performances. As Lushlife got off the stage, anticipation for the evening’s headliner grew large. But, it was not until half an hour later that Raja Kumari graced the stage with her presence. As she appeared on the stage, accompanied by her dancing cohorts, the crowd, who had dispersed into different corners by now, once again coalesced around the stage. What followed was 45 minutes of a thrilling, well-orchestrated musical performances. As she played back to back tracks from her EP ‘The Come Up’, the crowd roared in appreciation. The performance soared even further when she performed her single ‘City Slums’, and like this, the first day of the April Fool’s festival wrapped up on a high note. 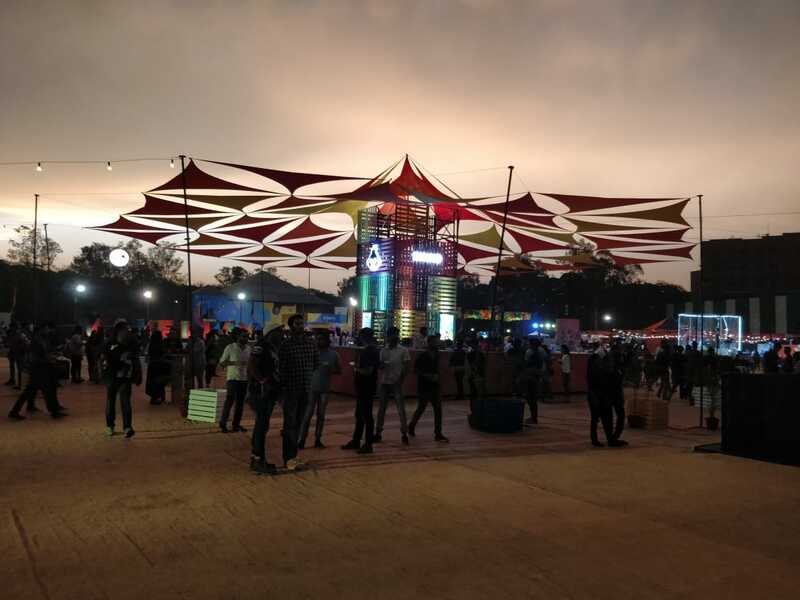 Day 2- We arrived late at the venue on the Day 2 of the festival and were left a little sour as DJ Uri and DJ MoCity had successfully concluded their performances hitherto. But, to our delight Delhi based rapper Prabh Deep had only just made his way onto the stage and we rushed towards the stage briskly to avoid any further delay. Starting with ‘Suno Suno’ Prabh Deep menacingly serenaded his way on to the stage, and with the vociferous ‘Click Clack’ he vividly painted the gritty image of Delhi streets to his home crowd. Following with tracks from his debut album ‘Class Sikh’ he gave a testament of his lyrical genius which has been aptly compared to the likes of Kendrick Lamar. As producer Sez On the Beat dropped some slick R&B rhythms, PrabhDeep left the stage with the sound of his title track ‘Class Sikh’ reverberating in our ears. As we took a look around, we realised that the crowd was bigger, louder, and more robust than the previous day. Divine aka Gully Gang started his energetic performance with an ode to his hometown with ‘Yeh Mera Bombay’, and soon followed suit with his singles ‘Scene Kya Hai’, ‘Farak’, and others. Just when it seemed like his performance was getting a little repetitive, he called out Raja Kumari on the stage for a surprise performance of their single ‘City Slums’ and left the delhiites enchanted with a majestic duet. But, the highlight of the day ‘Nucleya’ was yet to come up. The big stage was set and the crowd was on their feet by now (literally standing on their seats). Nucleya played an electrifying set, supported by his trademark bolly-psy visuals in the background. As the DJ performed the last song of his set, fans grew louder and demanded an encore, after which the artist happily obliged. Another 20 minutes of an incredible electro mixes followed, and we ecstatically rejoiced each and every minute of it. 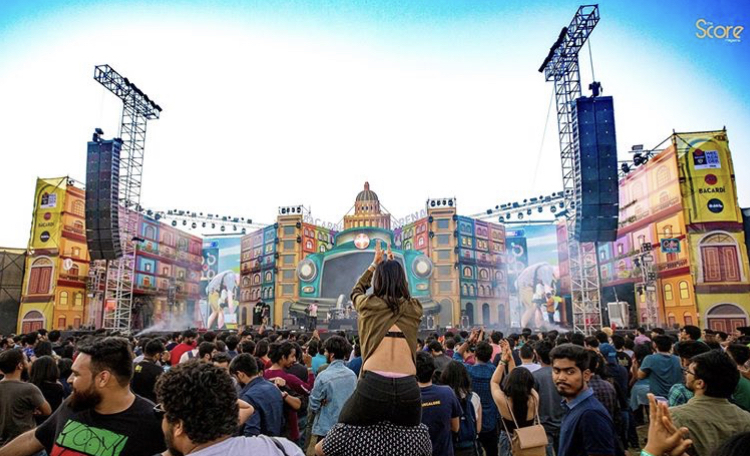 Nucleya brought an end to the 1st April Fool’s Festival, and we hope that Bira 91 return again next year with the 2nd edition of the festival.